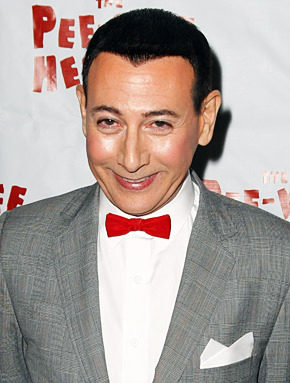 The long-gestating third Pee-wee Herman movie, produced by Judd Apatow , is headed to Netflix. The Wrap reports that the video streaming company is close to sewing up a deal to distribute the upcoming film, which will be produced by Judd Apatow, the comedic mastermind behind The 40-Year-Old Virgin, Knocked Up, Freaks and Geeks, and a slew of other recent films. In an interview with the A.V. Club in November, Reubens said “we now have such an amazing company involved, and that’s the really big announcement that hasn’t been made yet.” The “amazing company” Reubens was referring to was Netflix — a strong fit for the Pee-Wee Herman Movie given its limited theatrical upside and the character’s rabid fan base. Netflix has already been gearing up to reintroduce Pee-Wee to younger audiences, as it currently has “Pee-Wee’s Big Adventure,” “Big Top Pee-Wee” and “The Pee-Wee Herman Show” available on its service, while “Pee-Wee’s Playhouse: Vol. 1” and “Pee-Wee’s Playhouse: Vol. 2” were added earlier this month. Next Next post: The 10 Most Anticipated Games Of 2015 !